"If you can't measure it, you can't manage it". Yo-So Site Track enables you to trace sales, conversion rates, traffic, and other metrics across every keyword and search engine. Duplicate events detection and protection (duplicate clicks, duplicate sales and more). 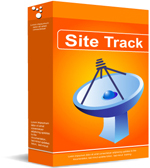 If you still have questions about Yo-So Site Track, our Web Traffic Analyzer solution, please contact us for more details or fill out the online inquiry form below. We will get back to you within one business day.